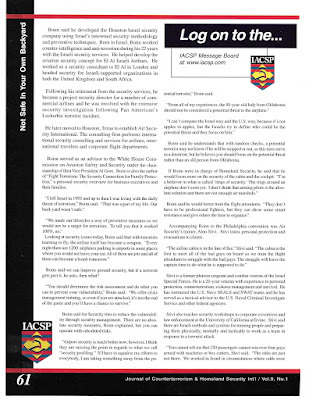 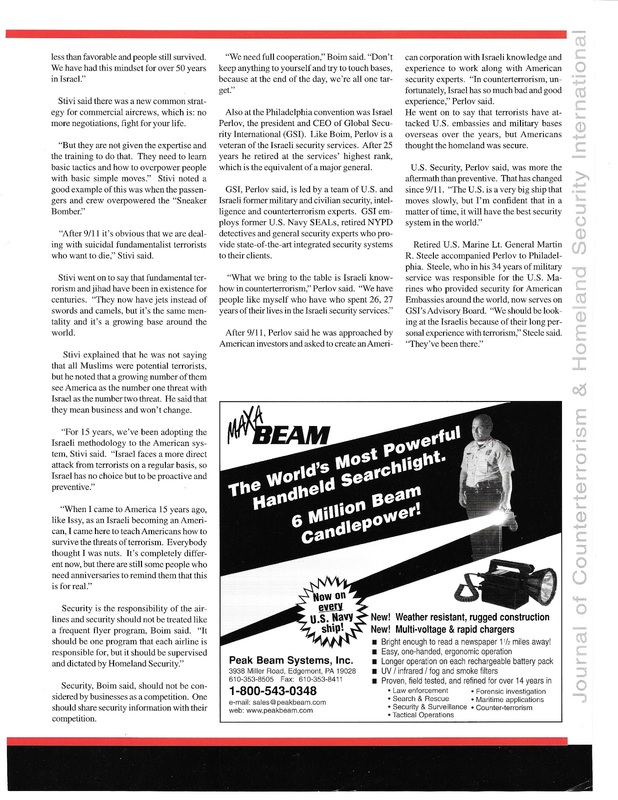 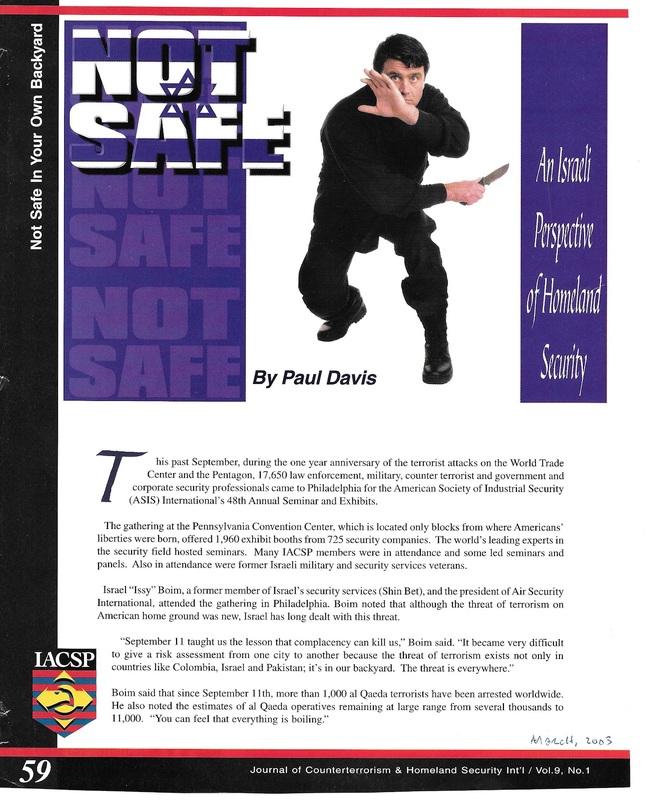 Back in September of 2002, on the one year anniversary of 9/11, I attended the American Society of Industrial Security's annual seminar in Philadelphia. 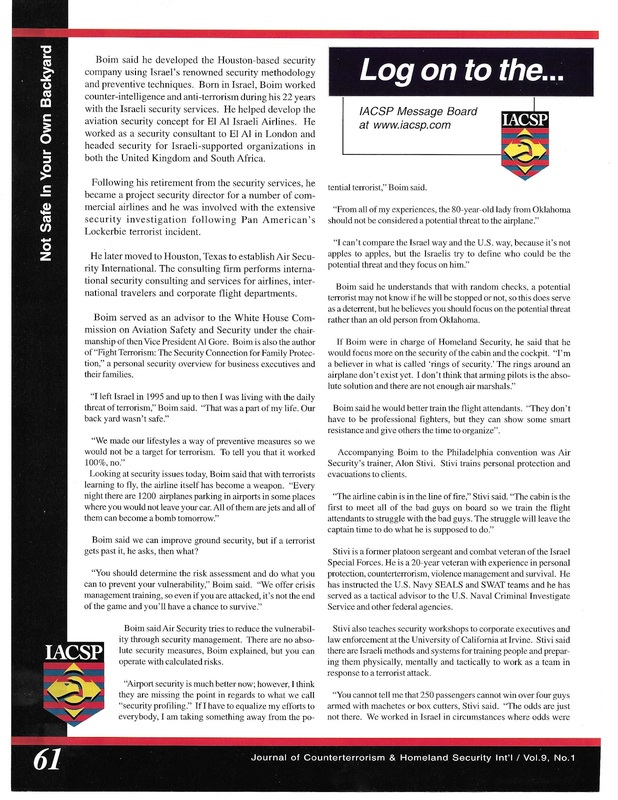 On assignment for The Journal of Counterterrorism & Homeland Security International, I interviewed a number of current and former intelligence, security law enforcement and military people, including two former members of the Israeli security services and a former Israeli Special Forces commando. As the Israelis have dealt with terrorism far longer than the U.S., I thought the Israeli perspective was interesting.